UK - Martin Audio has announced dates for a European Showcase Demonstration of its new MLA Mini ultra-compact multi-cellular loudspeaker array. This will take place over two days (February 18-19, 2014) at The Backstage Centre, Purfleet, Essex. The entire pro audio community — from distributors, dealers, rental companies, system integrators and consultants, as well as FOH engineers, system techs and event production managers — are invited to attend. It will also provide an opportunity for the media to experience the new system’s award-winning technology at close quarters. 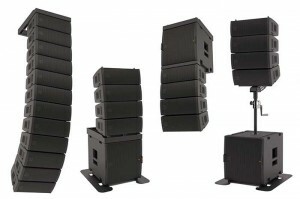 The demos will include a technical presentation by Martin Audio’s R&D Director Jason Baird and a live demonstration of the system which will enable attendees to hear the dynamic sound capability, exceptional coverage across the audience and clarity of speech that MLA has become known for worldwide.